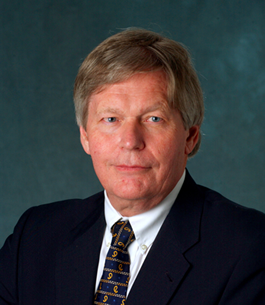 April 2, 2015 – LASP Director and University of Colorado Boulder Distinguished Professor, Daniel Baker, was awarded the Vikram A. Sarabhai Professorship and Prize for 2015, which honors internationally distinguished scholars and is named for the founder of India’s space program. As part of the award, Baker traveled to the Physical Research Laboratory (PRL) in Ahmedabad, Gujarat, India, in February to work with scientists and students and give seminars and lectures. His primary research interests include the study of physical and energetic particle phenomena in the plasma of planetary magnetospheres. The Vikram A. Sarabhai Professorship and Prize was created at PRL in 1977 to give young researchers access to the latest developments in various areas of research through interactions with distinguished researchers from around the world. Past winners of the Sarabhai Professorship include Arthur C. Clarke, Subrahmanyan Chandrasekhar, and Roger Revelle. Baker, member of CU-Boulder’s Department of Astrophysical and Planetary Sciences faculty, has won a number of international awards in recent years. Earlier this year he was selected to give the prestigious Kavli Foundation Plenary Lectureship at the American Astronomical Society’s 225th meeting held January 4-8 in Seattle. Baker, who chaired the National Research Council’s 2012 Decadal Survey for Solar and Space Physics, is currently involved in a number of NASA missions, including the MESSENGER mission to Mercury, the Van Allen Probes mission, the MAVEN mission at Mars, and the Magnetospheric Multiscale (MMS) mission, launched in March 2015 to better understand the process of magnetic reconnection. The National Research Council is an arm of the National Academy of Sciences.